Confirm a Kill have over 25 years’ experience dealing with unwanted pests. Our discreet and professional service is used by both homeowners and businesses across Nottinghamshire. As members of both Prompt and NPTA all our work is fully guaranteed to provide you with total peace of mind. All our pest control services, including Cluster Fly Control, start with a free, no-obligation assessment. Once we understand the issue, we will then provide a competitive quote which is covered by our price match promise. This guarantees you the lowest price for the work. If you should find a like for like service that is cheaper, then we will happily match it. Cluster flies are part of the blow fly family and are found across Europe including the UK. They are approximately 6-8mm in length and are dark or olive in colour. Unlike other blow flies such as blue bottles, they do not pose any risk to humans as they do not lay their eggs in human food. Cluster flies are parasitic to earthworms. Females lay their eggs at earthworm burrows, and their larvae then infest the earthworms. The adult Cluster flies emerge in late summer to early autumn, and this is typically the time when problems occur. Cluster flies are also known as attic flies as this is the type of location they look for where they can spend the winter. Any sheltered, warm environment is perfect for them so roof spaces, gable ends or even inside walls are high on their ideal home list. They get their name from the fact that during this wintering process they gather in huge number. One cluster can be made up of several thousand individual flies. Unfortunately, should these flies decide to cluster in your premises this could be a year-on-year problem as they leave pheromones which attract this clustering phenomenon. Cluster flies do not reproduce indoors. They will reappear in late winter to early spring to lay their eggs to create the next generation. With the majority of pests we deal with we can provide advice on how to prevent them entering your property. With cluster flies, this is extremely difficult. They can fit through very small spaces and are drawn to warmth leaking out from any cracks or voids on your property. Modern homes are designed with ventilation to help prevent mould, and it’s often through these points that flies can enter. Blocking any holes around windows and door frames and also filling any cracks in your brickwork is a good start. 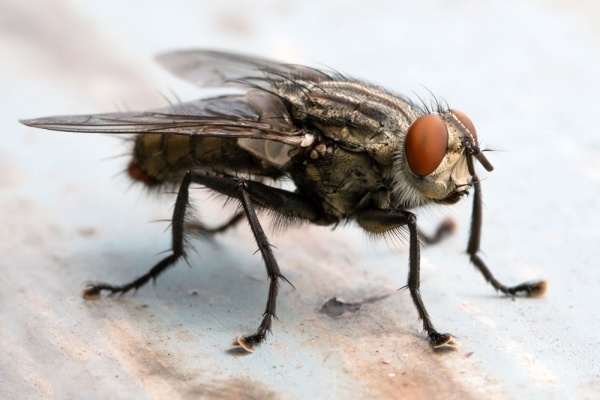 However, in truth, if cluster flies are determined to enter your property, it’s unlikely that you’ll be able to prevent them. If you have a large infestation, then you should seek professional pest control. At Confirm-a-kill we use specialist treatments, such as residual sprays. These eliminate all active flies and also those that appear after hibernation. In older properties, before cluster treatment can be used, a thorough check needs to be carried out for other animals such as bats which are protected under the 1981 Wildlife and Countryside Act. If you are concerned that you have a problem with cluster flies, then we’re here to help. Please get in touch, and we will be happy to carry out a free of charge inspection and advise on the best course of action. If you think that you have a problem with cluster flies then get in touch with us for a free, no obligation quote.